This blog now contains 99.9% HOCKEY content. Going to shake it up a bit today to post some videos of these giant birds. I've searched high and low on the internet and have seen every picture and video. Check out the Flying Tankers Inc. official website for info on the company, the planes, and of course- pictures and videos. Besides the videos they have on their site, I was surprised to find that an internet search yeilded only ONE other video of the Mars Waterbombers. And it wasn't a video of them IN THE AIR. So I decided to take some of my own mostly for my own enjoyment, but also for the purpose of sharing the beauty of these great birds with anyone else that loves them. It's funny when they fly over Port Alberni how up and down the street one can see people of all walks of life and all ages bounding out of the house to see them fly over. They never get old, and the thrill of seeing them airborne doesn't either. At least to me, I can't speak for the rest of you. There's few sounds as beautiful as that unmistakeable drone of the four big engines as the Mars lumber home to base or head out for a firefight. For me, maybe only the sound of the Mulitplex Horn sounds as sweet. Without further delay, here's 3 videos I took off my front deck of the big birds doing some training, I believe. Just hit the > PLAY button and they should start automatically. Thanks for stopping by and ENJOY. Tomorrow, it's back to HOCKEY talk as I'll be posting the second podcast in my series of 2003-2004 Bulldog Highlights! Questions, comments, complaints, yaddah, yaddah- EMAIL me or post a comment. Overhead, my personal fave. From my back deck to the front, on the full run. Many new things- POLLS, ADS, 2003-2004 Highlights PART 1. Or click on that link I just left ya. In the future, click on CLICK HERE though. I hope I didn't forget anyone in the first poll. I was spending more of my energy getting it on the blog period. That was quite the struggle. I also added a "google search" bar as well. Do me a favour- If you use google to search, or even if you don't, you should think about it. If you do indeed use google to search, try going to the blog first and using that one. I customized it, so you get a Bulldogs logo every time you search, as a little present. Also, do me a BIG favour. I have added google ads to the blog. If you see an ad that might interest you, please click on it. Even if something doesn't interest you, click on it, if you have a free moment. I might make myself a couple of bucks for a pop or two, and the thought that I would GET SOMETHING for doing this (besides your time, and I thank you for it!) would be great! Don't hesitate to email as well with any other ideas, suggestions, complaints, PICTURES, or anything else. Love to hear from you. Now, a DISCLAIMER- What you are about to hear isn't the best of broadcasting. I hope to you it doesn't sound too bad. To me, it sounds awful. There's no better way for a broadcaster to tell if he's going in the right direction than to pull out some material from several years ago and compare it with current stuff. The audio you are about to hear is from a couple seasons ago. When I compare it to the 2005-2006 Bullogs Highlight Video, I'm proud of the improvements I've made. A long way to go for sure though. I give you PART 1, from the AV1240AM "The Source" Bulldogs broadcast, myself and "The Ace" Alf Thompson calling game 60 of the 2003-2004 Alberni Valley Bulldogs season. Click HERE to listen, to a blast podcast from the past. Be sure to check back tomorrow or the next couple days, I'll get PART 2 of this game, and another 2003-2004 THRILLER podcasted here for your enjoyment. Greetings everyone, or is it anyone? As of last night the NHL season is done, and the hockey season is officially over. Here's my question- Is anyone still checking out the blog, and if so, would anyone be interested in me podcasting some Bulldogs Broadcast moments from the 2003-2004 season? I may have found some. It will take some effort to get them on here, but if there's a demand or a request, I'll do it! Let me know! Thanks for stopping by the blog. 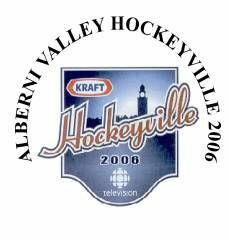 The Alberni Valley Hockeyville bid was stopped Friday after making the top 10. Smithers BC was chosen over the Alberni Valley bid to make it into the top 5. Congrats to the community, committee, and anyone and everyone in between for the efforts and accomplishments. Too bad we couldn't win it, but top 10 in Canada is nothing to be upset about. I've linked the highlight reel video differently. Now it's right on the blog, and doesn't have to be opened in a new window! Cool! If you haven't seen it yet, it's a MUST for Dogs fans. Hello and thanks for stopping by the blog. 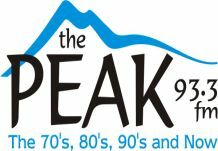 First off for todays posting/podcasting is an interview from my morning show yesterday on 93.3 The Peak FM with former Alberni Valley Bulldogs coach Jim Hiller, now the bench boss for the expansion Chilliwack Bruins of the Western Hockey League. It's a long interview, so it's in 2 parts. Click the below links to listen. Also on the morning show yesterday, (Wed, June 7th) I got a call from Tom McEvay of the Hockeyville Committee, in Hamilton. I threw Tom on the air for an update on the happenings from the "front lines" as I called it, for everyone here at the "homefront" Also had an interesting chat with Wade Parker, who did a little campaigning on behalf of the Salmon River, Nova Scotia hockeyville quest. At the end of the interview, I demonstrate to listeners how easy it is to vote. FRIDAY is the next big day so get ready to watch and VOTE VOTE VOTE. Thanks for stopping by the blog and I hope you enjoyed the listen. Don't miss out on all the "repodcasts" I've posted below! More AUDIO re-podcasted, Jim Hiller interview on the way. A quick hello tonight, and a quick post. Continuing what I started yesterday, reposting the audio from the season gone by for you to listen to again to remember. Dogs Vs Cents. End of a streak of a different kind. BEAUTY from Timberlake. Interview with "The Canpar Guy" Bruce Sly. Great hockeyfan and hockeyman, even though he's from NANAIMO, haha. He's a Clipper fan and an off ice BCHL official running the clock at the Frank Crane. We love Bruce, and he's a well liked guy in the Valley. 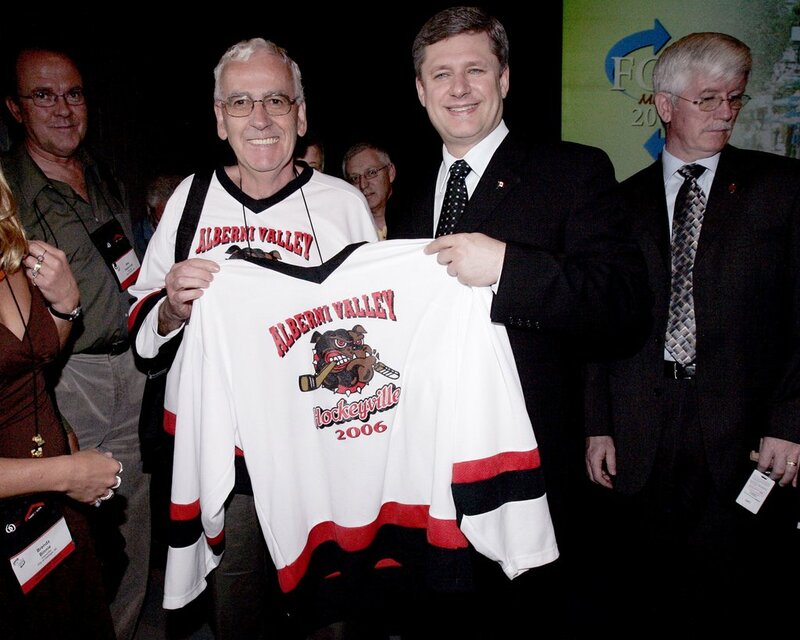 Recently wrote a letter of support to the Alberni Valley Hockeyville committee. Class act and a great guy, this night he filled in when my intermission interview didn't make it to the booth. That's all I have on my computer. Round 2 came and the time available went away, then the season ended. I hope to get the Jim Hiller interview from Wednesday on here soon. Thanks for dropping bye, spread the word that the blog is updated! How to vote for Hockeyville, Jim Hiller on 93.3 The Peak tomorrow, Bulldogs signings, Herman to College, GREATEST BLOG POSTCAST HITS. First off, here's how to vote for hockeyville. You have until 8:59pm PACIFIC Wednesday, June 7th to get your votes in. Here's the updated info. Alberni Valley is in the Pacific Region.Confirm your vote before you disconnect.You may use each method five times to vote for the Alberni Valley.You will need to connect separately for each vote.PLEASE maximize your Vote.Voting commences at 5:00 pm (PST) Tuesday June 6, 2006 and will remain open until Wednesday June 7, 2006 at 8:59 pm (PST).Please ensure that you vote, your family votes and that your friends vote for the Alberni Valley too. 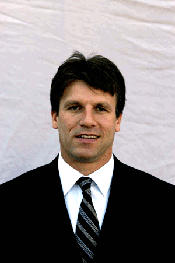 Former Bulldog coach Jim Hiller, new coach of the expansion Chilliwack Bruins of the Western Hockey League, will be joining me on my morning show at 8:10am tomorrow (WED JUNE 7th) to talk Bulldogs, Bruins no doubt, the Alberni Valley, and I'm sure hockey in general. It could be the last interview we get so I suggest you tune in. For those not in the Valley, or for those that miss it, maybe I'll podcast it if you ask nice. Bulldogs signings, Brad Herman to the NCAA. Well, it's a fact of life of hockey at this level. Players move on, but players move in. Just like coaches, trainers, staff, etc. Click this link to read the Brad Herman story from the Alberni Valley Bulldogs website. Click this link to read the Bulldogs announcement regarding the signing of Dustyn Clegg and Torry Lindsay. Good to know that we'll be increasing our listenership in Manitoba next season to more than my friends and family. After getting some feedback from the highlight reel video by talking to players and fans, I just started to miss the games more already. I also realized how many great moments didn't get into the video. Whether it was time contraints, video unavailability or quality, I talked to 3 players and 5 fans and they all told me how much they loved the video, but "why wasn't that one on there, and this one" etc etc. I really wish I could do more. Like I previously said, I don't have the resources to keep making them. HOWEVER, I still have ALL of the podcasts I put on this blog from the day I started it. So, if you are missing Bulldogs hockey, or the broadcasts, make sure you have a free hour and a computer with sound and sit back and enjoy (I hope) much of the audio I've previously posted from what was a great and memorable season for the Bulldogs. Try to figure out what game these are from, and please leave your comments as to what are your favorites. the COUNT, for the first time? the THUMP. Listen close for the puck on the back bar. In "the puddle" and double OT. Comeback of the season? This game might have my vote. This was talked about just a couple of days ago with me and a couple Bulldogs players. It was nuts on the back to back goals off the face off, and when Joe Scali scored the second goal, it seemed the rink RUMBLED more than usual. You can even hear it on the highlights, you could feel it in there, becuase I mentionted it. At that point of Joes goal, it was almost like every fan in the rink KNEW that the team was going to come back. Over the Silverbacks, the team that stopped the first streak at 8, if I'm not mistaken. A tear in my eye, for THE LAST COUNT of the streak. Finally, the last win of the streak. 20 in a row. A third of the season. NOT a pretty win, an ugly, all heart road comeback. But a win is a win they say. About the comebacks- this team NEVER quit. I know we all hear that alot in sports, and I'm sure it's true alot in sports. But if there's anything that really stood out about this team, it's that they never quit, never got their heads down, no matter what the deficit. Just put the work boots on and start over and stop digging that hole. It was a pleasure to watch. Speaking of great things to watch, this OT was a heartstopper. Maybe the craziest of the season. The final win, 20 in a row. No count as it was on the road. Although I talked to alot of people back home who were tuned in who said they counted at home. I have more highlights to go, and I will post them in the days to come. I'm sure thats enough reading and listening for now. Again please SPREAD THE WORD about Hockeyville, and about this blog. Post your comments, and email me your submissions/complaints, etc.